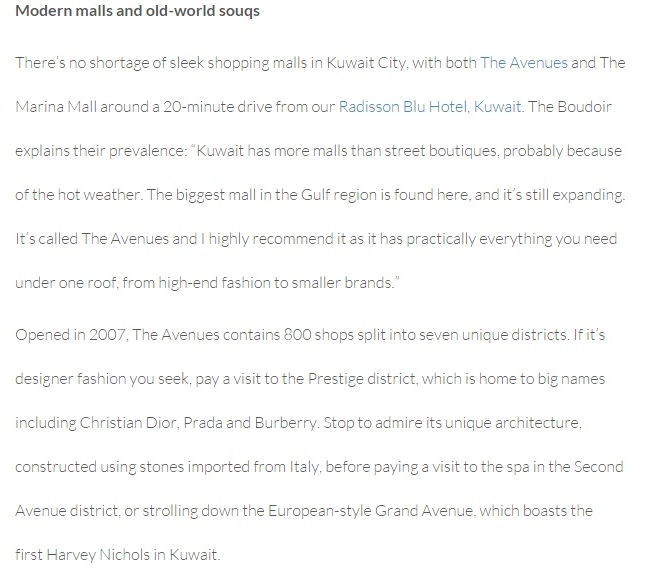 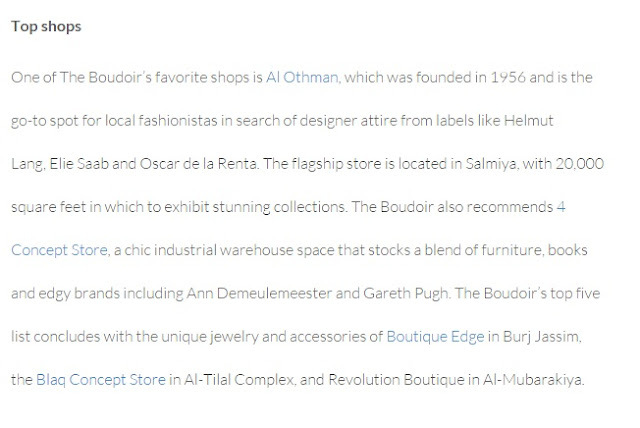 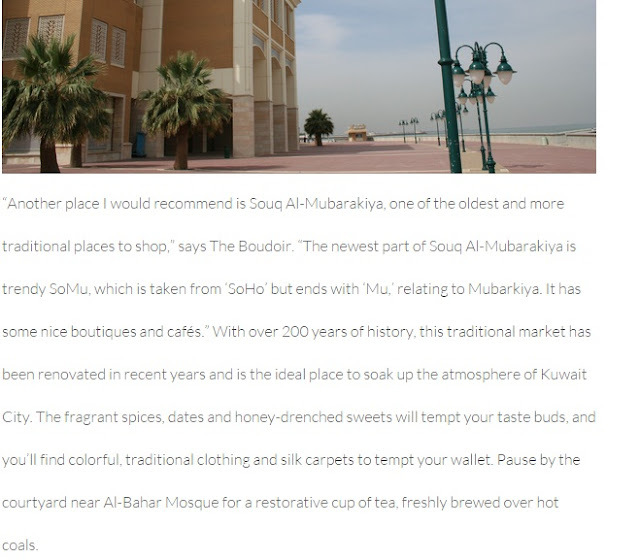 Sometime ago I was contacted by Radisson Blu Hotels blog to help with a feature they're working on about fashion shopping in Kuwait. 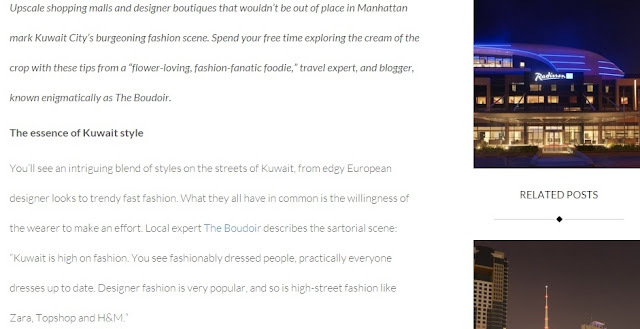 As a local, a travel/hotel expert and adviser who loved everything fashion, I was delighted to take part in the questionnaires related to fashion in general in the small state of Kuwait. 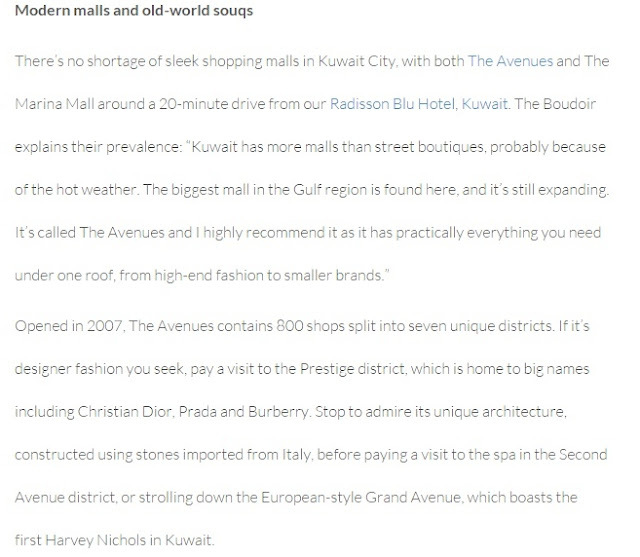 Especially since not so many people knew about the country beyond the Gulf War. 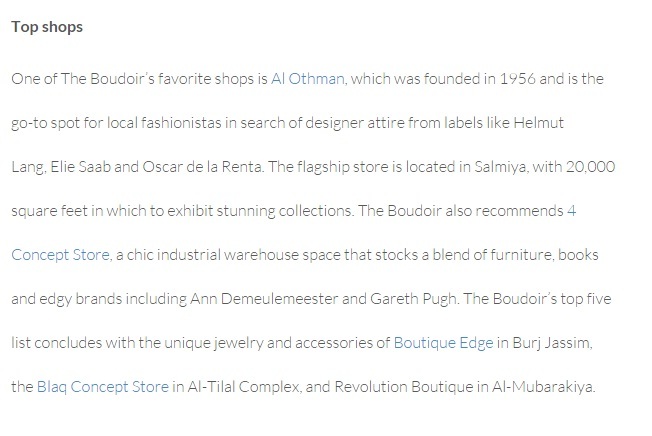 First time visitors will find the feature really helpful. 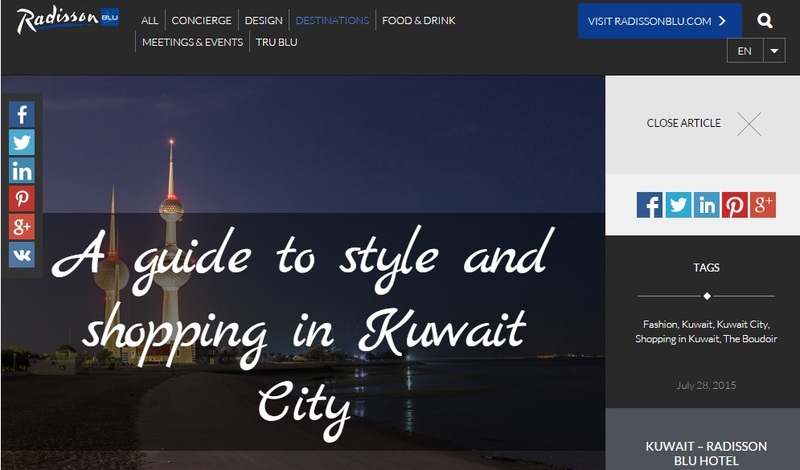 Radisson Blu's blog is really informative when it comes to travel!